An ultra-slim, connected smartphone companion that delivers easy creativity, superb images and as much or little control as you want. Effortlessly capture and share professional-style stills and movies using this retro, ultra-slim and connected camera that’s the perfect smartphone companion. Powerful technologies ensure DSLR-like creativity with the level of control you want. You can create beautifully crisp stills and steady movies in any situation with the ultra-slim expert PowerShot G9 X Mark II that puts fast, powerful performance in the palm of your hand. A large sensor and f/2 – 4.9 lens lets lots of light into the camera to ensure superb shots in any situation. Create with as much or as little control as you like. You can let the camera do the work or use a range of expert features to take your photography to new artistic levels. Easily shoot and share superb, rock steady Full HD movies even when running and express yourself in unlimited ways with full creative control. Explore your creativity with a host of clever features that make it easy to capture starry skies, unique images and short movie clips with professional style results. Easily connect to your smart device and maintain a constant connection* via Bluetooth®**, so you can shoot remotely, then share your creations online in an instant. 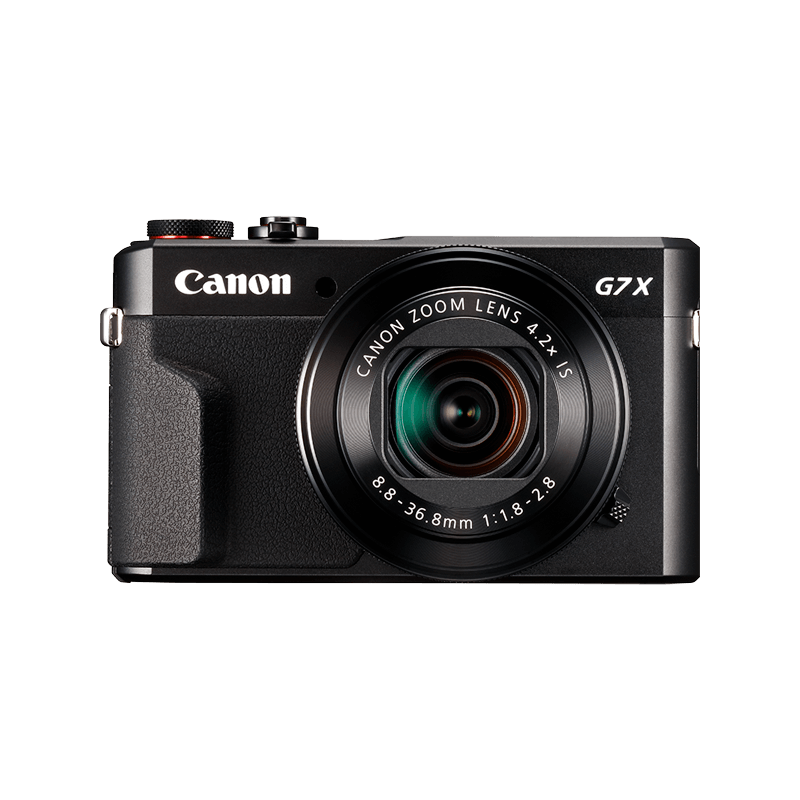 Charge your PowerShot G9 X Mark II while working or surfing the internet via standard USB smartphone chargers or your PC. Protect your Canon PowerShot camera with a soft case when you are out and about. A spare or replacement battery for your Canon digital compact camera. Genuine Canon batteries offer 100% compatibility, safety and performance. Boost the range of your camera’s flash with a portable high-power flash unit. Includes a bracket that attaches to the camera. Can also be used remotely for creative lighting options. A spare or replacement battery charger, perfect for travelling. Transfer photos and movies from your camera to PC or Mac computer via USB. 1.0 m (3.3 ft) cable length. A premium quality Wi-Fi camera for expert control with great style and classic handling. Enjoy the flexibility of a 25x zoom bridge camera that’s both a photo and video powerhouse. **The Bluetooth® word mark and logos are registered trademarks owned by the Bluetooth SIG, Inc. and any use of such marks by Canon Inc. is under license. Other trademarks and trade names are those of their respective owners.